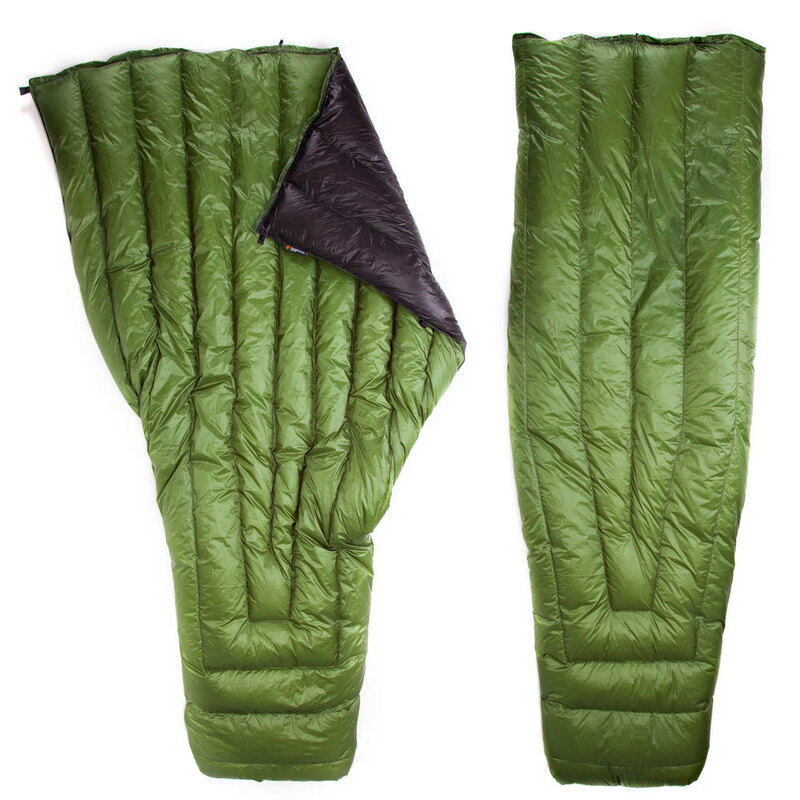 The warmth to weight ratio of this quilt is awesome. One tester used the XL/extra wide, while another used a medium/medium. Weights were 22.75oz and19oz respectively. For a 20*bag, 22.75oz is very good. Note, we used 750 down in our quilts and Enlightened Equipment now only offers quilts in 800 and up (making them lighter). It is very versatile. If it is hot, then open it up and use it as a blanket. If cold, then cinch the bag closed completely to make a cocoon. 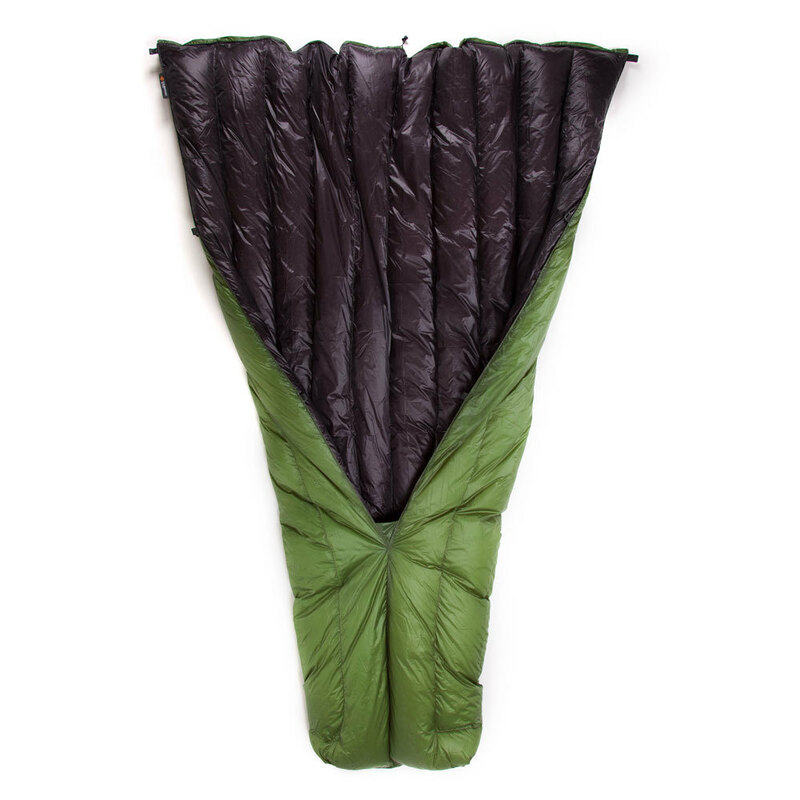 A sleeping pad is ABSOLUTELY necessary when using this quilt when ground sleeping, or an underquilt when hammocking. It is very packable. Both testers would stuff the quilt at the bottom of their packs to fill out all the nooks and cranies. It is pretty durable, having made it over 2600+ continuous miles, but did not completely come out unscathed. The nylon that it used is light, pretty breathable, but also provides a good amount of wind protection. Both testers had problems with the inner seam of the foot box. Both quilts had the seam burst after 500 miles of use, and needed to be sewn and repaired. No hood can make for a cold night. Must be used with a jacket and hood, or hat at night. 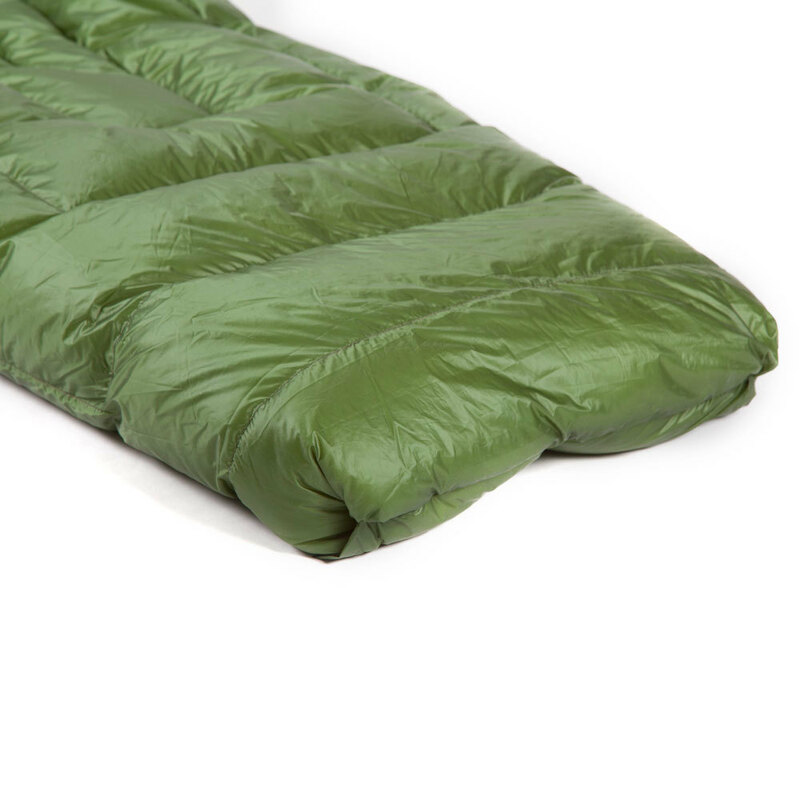 Must be partnered with warm under insulation (sleeping pad/under quilt), adding weight to your pack. Side sleeping can cause cold spots if the quilt shifts to much when moving. 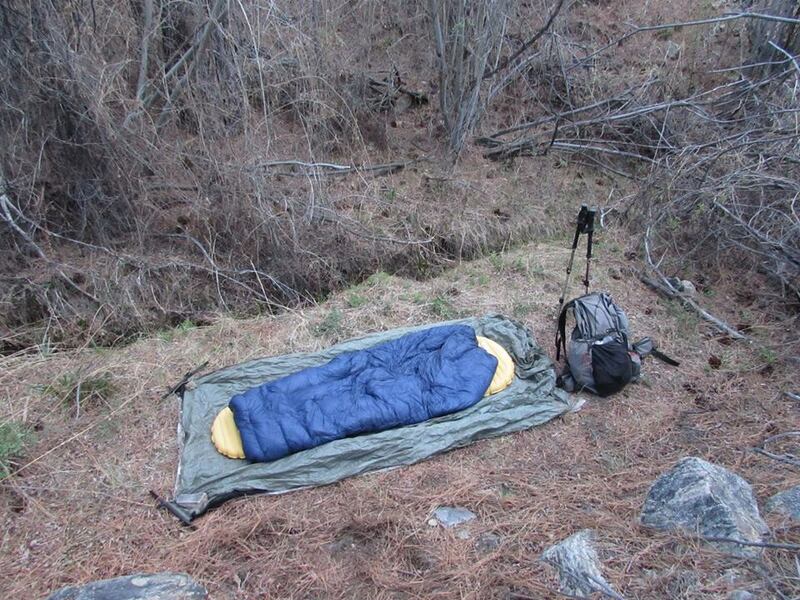 This quilt was my intimate home for the duration of a five month thru hike. From the deserts in the south, to the high altitude nights in the Sierra Nevada, to the wet North Cascades, I slept in this quilt every night. My coldest night on the trail was three days before finishing, way up in the north of Washington. It got down to 17 degrees and I was very uncomfortable, though not shivering. Also, consider that the quilt was very dirty by this point and performance suffered because of it. At points, the quilt was too hot for the Northern California and Southern Oregon nights. For some of the windier nights, the quilt performed pretty well, protecting me from the brunt of the wind. The quilt can take a bit of rain but if it becomes damp, performance decreased noticeably. Time in and time out, I relied on this bag to keep me warm and alive for five months. Besides having a seam rip relatively early in the hike (500+ miles), the bag is still in great shape, but needs to be thoroughly cleaned!